Nice list and great card choices. I am Jenara player myself and I can tell on the spot your list is very competitive. 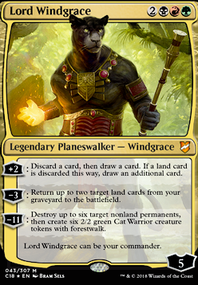 I think you should consider running few utility lands: Eiganjo Castle , Minamo, School at Water's Edge , Yavimaya Hollow , Cavern of Souls and Tectonic Edge . First three from the above really help and support Jenara on the battlefield. Cyclonic Rift and Mystic Confluence are soft board wipes which are very handy in tempo. These cards are never useless in midgame or lategame, due to different mods. Feel free to check my list where I share in description strategies against my opponent decks (I play Leviathan Commander - 30 hp format). I will be more than glad to discuss and exchange strategies for Jenara. 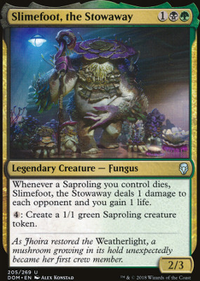 I am looking for good strat against Sai thopter aggro and Aminatou control. Let me know if you have any cool ideas. Cheers and have a successful smashing with Jenara! I've used Lord of Innistrad with mixed success. I've found Sorin, Solemn Visitor does some heavy lifting by mitigating a lot of the damage we take from Bitterblossom while also giving a pseudo anthem effect. 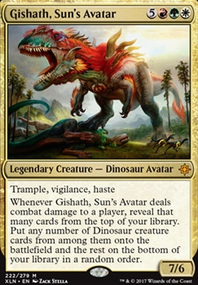 I'm also a little hesitant to swap out Gideon, Ally of Zendikar because all of his effects are relevant to our strategy. Solid sideboard suggestions. Having 4 cards dedicated to grave hate is a little redundant and I've won more games from siding in Zealous Persecution and Leyline of Sanctity than cage. I've actually been thinking about taking out a Godless Shrine for an Isolated Chapel for a while now to avoid unnecessary life loss, as well as swapping a Windswept Heath for a Tectonic Edge or Field of Ruin . Our matches agains tron are awful, so a mainboard option would be helpful. PlatinumOne "'modern counterspells cost 3 mana, or 2 mana with a downside' and 'wotc is anti-land destruction', I'd have to see sources before I believe those." Bro... do you even play modern? 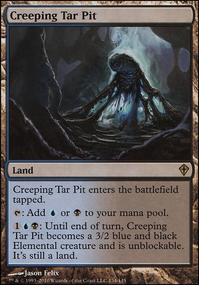 Even the lands that blow up other lands either replace the destroyed land with a basic ( Ghost Quarter ) or have a cost of at least to activate. 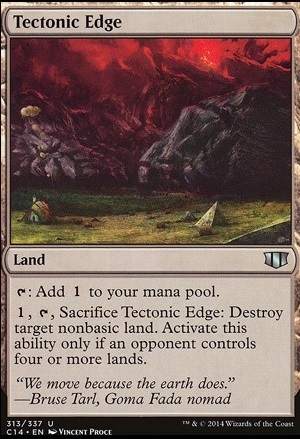 Tectonic Edge is an exception, but that qualifies more as "land management" than "land destruction" considering that you have to leave your opponent with at least 3 lands. Smallpox / Boom come in at , but they're symetrical, and Assassin's Trophy replaces the destroyed land with a basic (which sort of defeats the point), so again, not exactly in the spirit of "wotc supports carte-blanche land destruction for 2 mana". Fulminator Mage lets you destroy non-basics for and Cryoclasm / Blood Moon / Choke are all hate cards against certain kinds of lands, but again your opponent gets around it by playing not the kind of land you're hating on, so it's not "true" land destruction. True land destruction (of the "Destroy target land. That's it." variety) TYPICALLY comes in at with cards like Craterize , Creeping Mold , and Avalanche Riders , but Molten Rain and Rain of Tears do exist at . Even with that, modern doesn't have any COMPETITIVE lists built around pure land destruction, which should tell you something about the support (or lack thereof) that WotC has been giving land destruction as a strategy compared with other strategies since 8th edition. As for counter-spells, the first counter magics you can play which can target ANYTHING (meaning aren't faced with some restriction such as Spell Pierce , Spell Snare , or Stubborn Denial which all fit the slot) are Mana Leak , Remand , Delay , Logic Knot and their ilk in the slot. 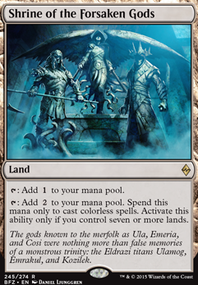 The ONLY exception to this is Mana Tithe , but that's in white and sees next to no modern play, even in U/W control. The first point blank "counter target spell and it goes to the yard" spells come in at with cards like Cancel , Dissolve , Dissipate , and their ilk. If you would still like a source, here is mtgtop8's modern breakdown, which you will notice features no land destruction, and exactly 0 decks which use any "unconditional counter spells" which cost or less. The reason is that Land Destruction isn't competitively viable, and no carte blanche counters exists for less than ! If they did, the modern community would have found them by now, but instead, we find that WotC doesn't support these concepts and has been very careful not to print any cards that violate these patterns! Welcome to modern by the way. I feel like Deathrite Shaman should be in this deck. You might not consistently be able to use its mana ability, but usually there should be a Evolving Wilds or something like that in someones graveyard (you could play Evolving Wilds or for example Tectonic Edge as well). Two of the most powerful things you can do in Magic is card draw and mana ramp. Although not "ramp," this card gives you the option to play a first turn card draw ability, in any deck, and tacked onto a land that doesn't enter the battlefield tapped. 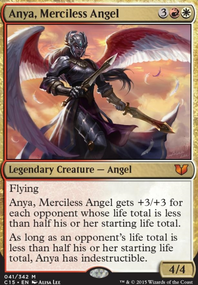 Boros players everywhere are just clamoring for something even close to this. If you land this turn one, you probably can net at least three or four more cards on average than you would in a game played without it, and I'm just spitballing that. And if you ever can't draw a card with it, then its tapping for mana. Its never not useful. And its a land. When I was young in Magic, I didn't always see the value of effects on lands. Tacking an effect onto a land is so strong, because its not a spell that is cast. 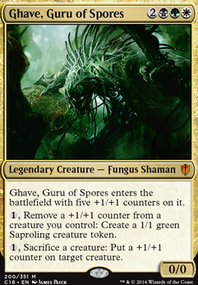 Think about how useful cards like Wasteland , Strip Mine , Tectonic Edge , High Market and their ilk are; even consider ones that are limited by a color identity, like Bojuka Bog , and these are just a few. How many lands can you think of that allow you to draw cards? I can't think of any, and there's a reason for that. Ah, that makes sense on Tectonic Edge ... I was thinking more about the Tron match-up than other uses.